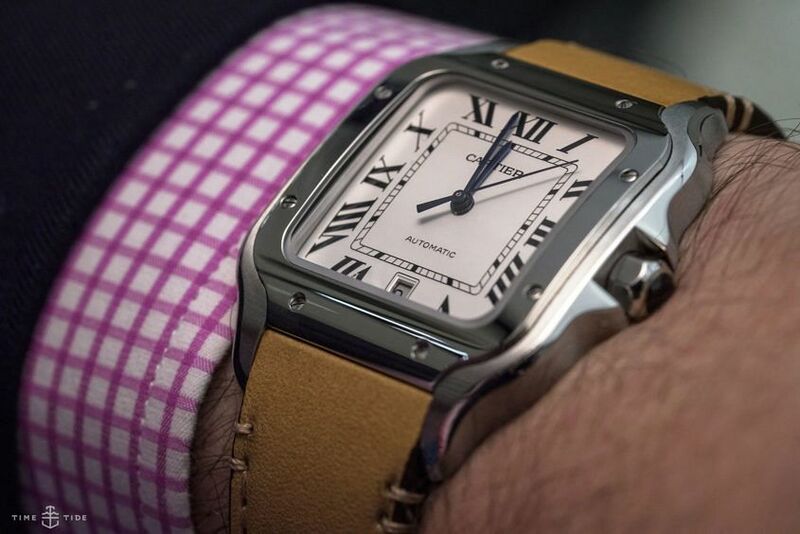 Editor’s note: The Santos has come a long way since it was first wrapped around the wrist of famed pioneering pilot Alberto Santos-Dumont. What was first a small piece of mechanical genius attached to his wrist by a sliver of soft leather is now a complete collection that features an amazing QuickSwitch strap-changing system, as well as a very clever SmartLink bracelet resizing technique. What forever remains, however, is the powerful appeal of the Santos — as strong today as when those magnificent men in their flying machines first took to the skies. It’s a tricky task upgrading a storied and legendary watch such as the Santos — you must innovate while appearing to be unchanging. It’s a job that Cartier have pulled off with aplomb at SIHH 2018. 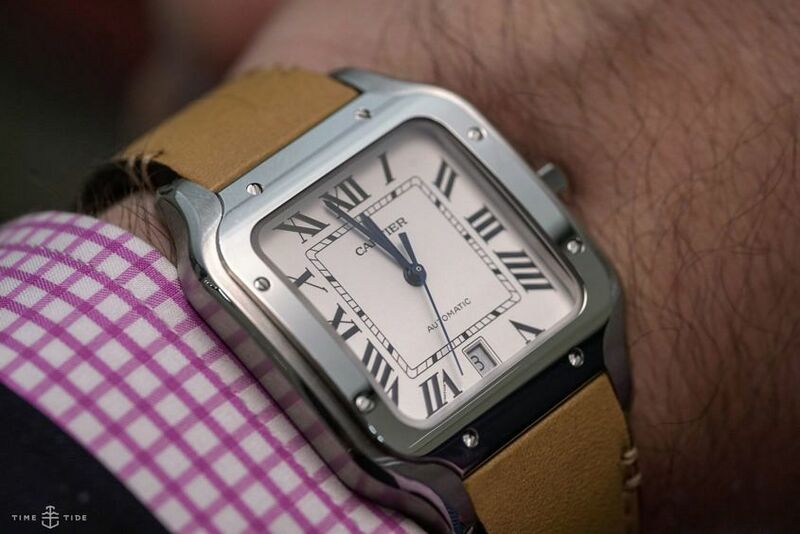 The new Santos is the star in their masculine line-up, a sensitive update that brings the design very much up to date. But first, a quick origin story. 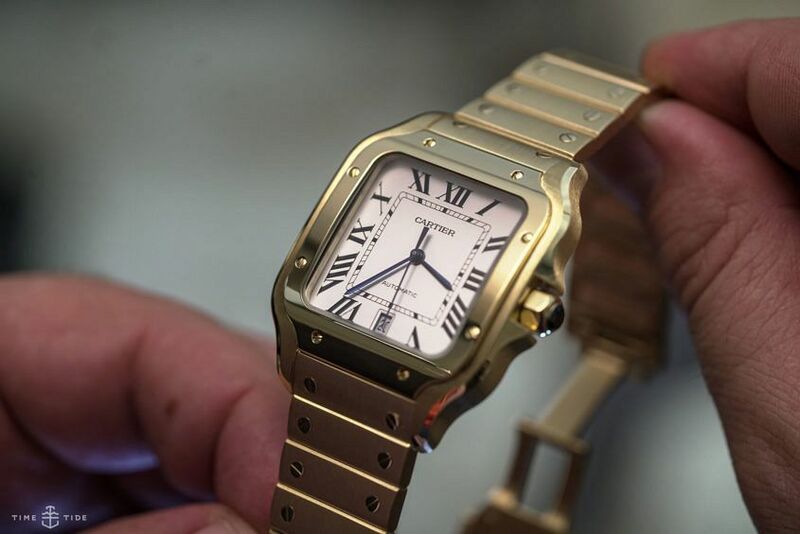 The Santos claims the enviable title of the first modern wristwatch, made by Louis Cartier in 1904 for Brazilian aviator, bon vivant and (apparently) all-round cool guy Alberto Santos-Dumont. 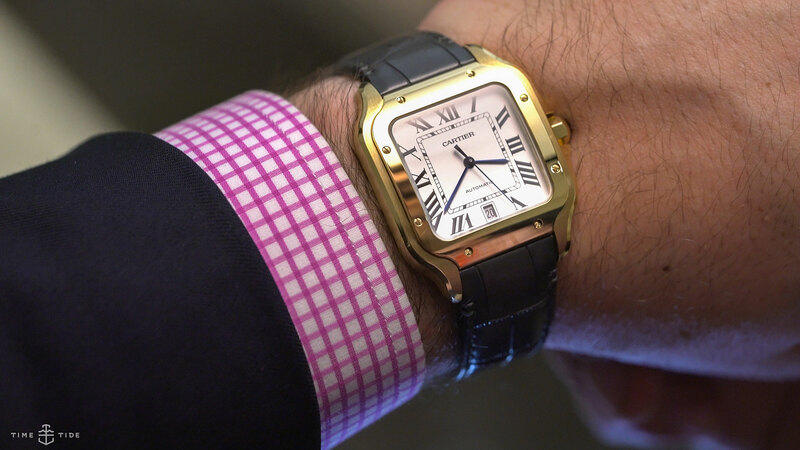 The watch quickly caught on and has had pride of place in Cartier’s line-up ever since. So what’s new in 2018? Well, let’s start with the insides. The 1847 MC movement (first appearing in the Clé) has been newly added to the line, adding some anti-magnetic clout into the mix. The case, in medium or large versions, is – by and large – unchanged. There has been some refinement to the shape of the bezel, but all the core elements are (thankfully) untouched. The real story, believe it or not, is the straps. The Santos debuts the brand new QuickSwitch system, a solution to the humble (and sometimes maligned) springbar that’s both secure and user-friendly. A press of a fingernail is all it takes to easily remove a strap, opening up a whole new world of interchangeability. It’s about time that the Swiss industry innovated in this area, and hopefully other brands start to follow suit. 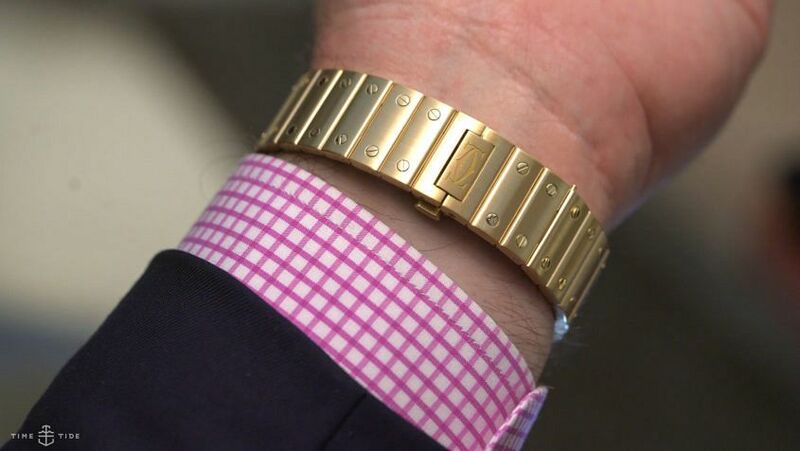 But it doesn’t end with QuickSwitch, the new Santos bracelets feature a SmartLink system, allowing the wearer to add or remove links without the need for tools. Très handy. While all these improvements are welcome (and these days, expected), the real appeal of the Santos has remained unchanged since 1904. Its modernist style is chic and masculine, all at once.